While I am mourning the loss of summer, I am starting to accept the change in season. And slowly I am embracing fall. 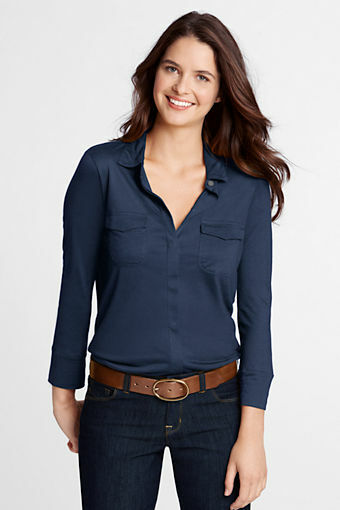 I'm loving a few pretty pieces over at Lands End right now. I have to tell you that Land End has really solidified my loyalty over the last year or two. They have really re-vamped their designs and I think their quality can't be beat. 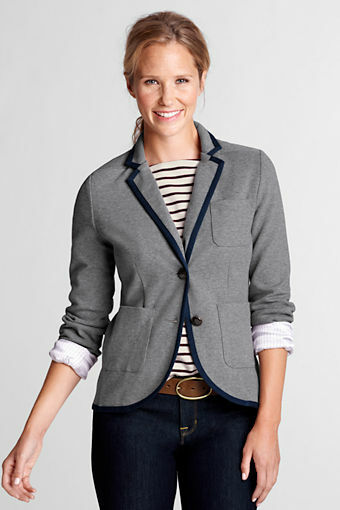 Topping my must have list is this knit blazer. It's 100% cotton- a rare treat for a girl with a wool allergy. Seriously...look at what's available for fall that's non-wool. Right. Not a lot. I love that this is lightweight and can be dressed up or down. Love this knit button down. Looks cute and comfy. 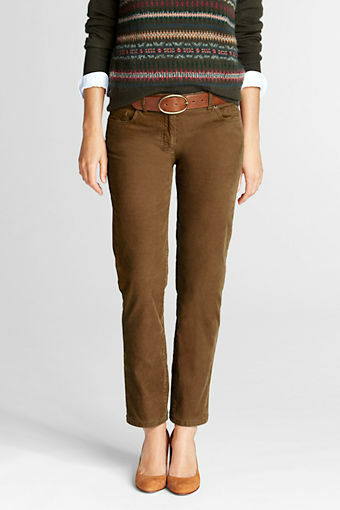 Cute cropped pants. These are good until it gets really wet and really cold. 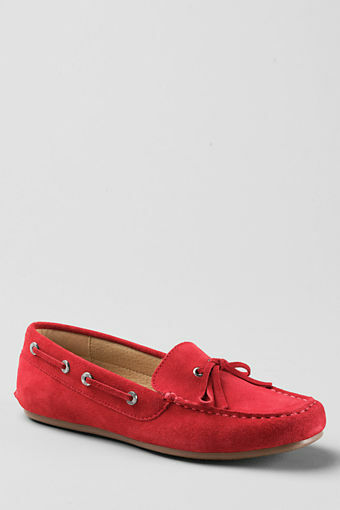 Cords look like perfection with little loafers and driving mocs. 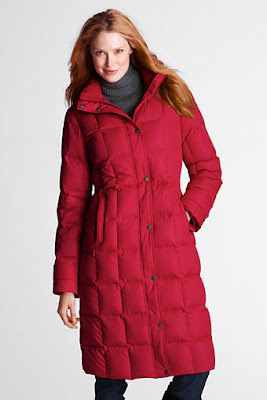 And while it does nothing for your figure, this coat is ah-maz-ing. I have it from a few seasons ago and it saves me three times a day while walking the dog. It's like wearing a puffy blanket. Keeps me sooo much warmer than a pea coat on a cold, cold day. I got their catalog in the mail this week and I am in love with all of the dresses! Such cute things! Great pieces. 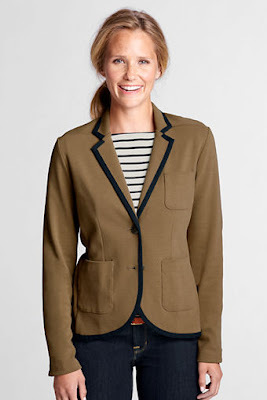 I have found several at LL Bean including a cordury trench I am debating getting. LEVI love he looking of loafers! The red ones you posted about are super cute. I am really going to make an effort to embrace more fall fashions even if it isn't really fall weather here. I just love these looks! Are You In The Junior League?